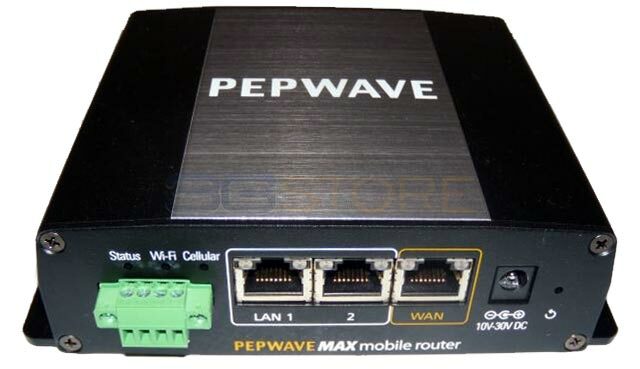 Congrats to Cutler F. of Breckenridge, Colorado who just won a $25.00 Restaurant.com gift code for writing a review for Pepwave MAX BR1 Router With Embedded Verizon 3G/4G Modem at 3Gstore.com! Every week we randomly pick one product review from the previous week and award the writer a $25.00 gift code. We appreciate ALL the reviews our customers write, whether they are positive or negative - honest reviews like Cutler F.\'s help other customers decide if the product is right for them. After you purchase a product from 3Gstore.com, we encourage you to log in and 3Gstore.com and leave a review letting people know how the product worked for you - you'll be helping others, and you'll automatically be entered to win a restaurant.com gift code!. I am a full time RVer. I have been looking for a solution to home-like performance for high speed internet. I've found it in Verizon's 4G service and the Pepwave router. The speed and reliability are astounding. Combined with an Apple TV connected to the LAN port on the router, I have the complete system. I connected the router to a Mobile Mark antenna. This combination utilizes the full potential of the system. Whenever there is WiFi, the system picks it up and channels it through. Because the the performance of the antenna, I can pick up WiFi more easily and with greater speeds. This is a magnificent set-up! Now if we can just get Verizon to open up unlimited data, I'd be set for life.